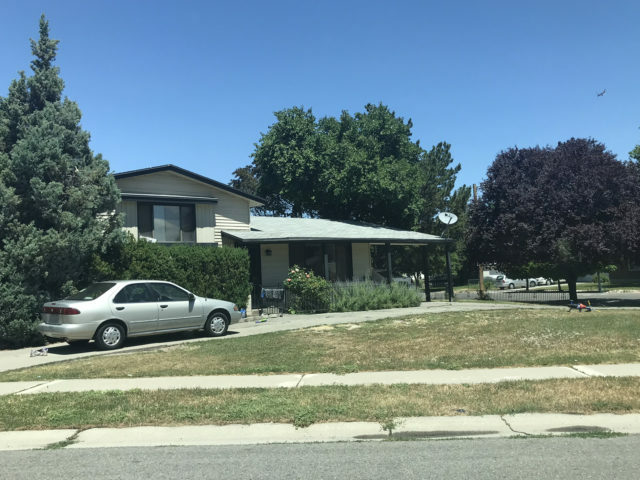 In 2017, an Arizona attorney named Paul Petersen bought a four-bedroom split-level house in a suburb of Salt Lake City and started using it as a hub for black market adoptions. This is Part 2 of Civil Beat’s investigative series “Black Market Babies.” Click here to read the introduction and Part 1. Petersen arranges for the plane tickets for pregnant women traveling some 5,000 miles from the Republic of the Marshall Islands to give up their children for adoption. He covers their expenses while they live in his house in West Valley City. At any one time, 10 or more pregnant women live in the house, one of the residents told a Civil Beat reporter who visited recently. 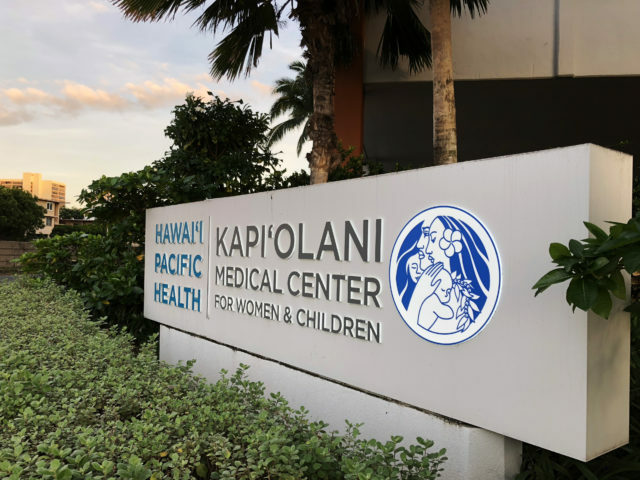 A treaty known as the Compact of Free Association bars Marshallese women intending to place a child for adoption from traveling to the U.S. without special permission. To control unregulated black market adoptions — which were rampant in the 1990s — the remote Pacific nation created a government agency to oversee international placements of children. The treaty provision and the new law were put in place in the early 2000s to stop the exploitation of pregnant women who had little understanding of the consequences of adoption in the U.S. – that there would be no guarantee of continued contact with an adopted child, for instance, or expectation that a child would return at the age of 18. 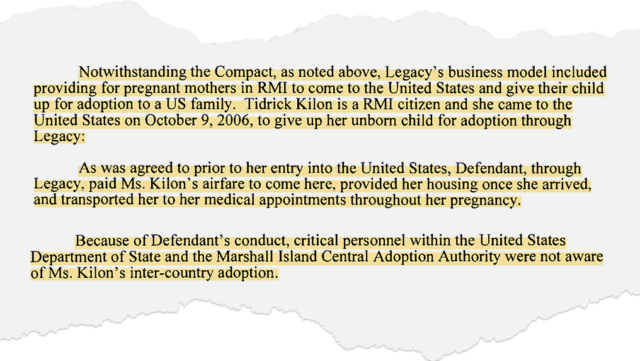 Both the U.S. State Department and the Central Adoption Authority in the Marshall Islands confirmed to Civil Beat that pregnant women are not permitted to travel to the United States without visas if they intend to give up a child for adoption, even if they are going for some other purpose, such as a job or school. Yet 20 years later, Petersen and a small number of other private adoption attorneys openly fly Marshallese women to the U.S. who plan to adopt out their children. They cover expenses such as airfare and room-and-board and match them with adoptive families, opening the door to the very abuses the law and treaty were designed to halt. The lawyers, who get thousands of dollars per adoption, are undermining the official process and its safeguards. All along the way, authorities from immigration agents at the airport in the Marshallese capital in Majuro to family court judges in far-flung U.S. states fail to stop the flow of babies. Petersen declined to be interviewed for this story. 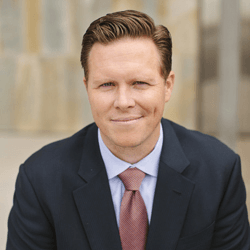 His attorney, Matthew Long, noted that Petersen’s adoptions and actions as a lawyer are subject to oversight by many regulatory agencies, state bar associations and courts. Long would not directly address whether Petersen is arranging for the travel of pregnant women from the Marshall Islands and, if so, how he believes that complies with the international treaty. “You’re not denying that Mr. Petersen arranges for women to fly over from the Marshall Islands,” a reporter noted. The Marshallese agency in charge of overseeing international placements, the Central Adoption Authority, says the law and treaty clearly prohibits Marshallese women from traveling to the U.S. for an adoption. “It’s very illegal,” said Claudia Lokeijak, director of the central authority. That’s true whether a Marshallese woman travels while pregnant or after the baby is born. Nor does it matter if the birth mother plans to stay in the U.S. after the adoption, Lokeijak said, contrary to what some of the lawyers argue. The U.S. State Department, in charge of enforcing the compact, also says the law does not leave room for interpretation. Mothers planning to give up their children in adoptions would need a special visa “regardless of whether they also intend to travel to the United States for additional, other purposes,” a state department spokeswoman wrote in an email. Most Marshallese citizens can travel to the U.S. without any visa at all. The 43-year-old Petersen appears to be one of the most active Marshallese adoption lawyers. 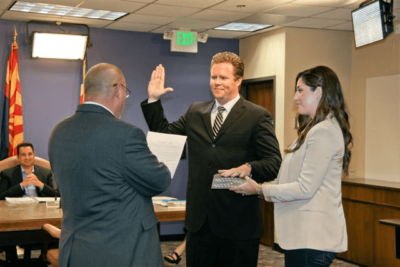 He is also the elected county assessor in Maricopa County, Arizona, which includes the Phoenix metro area and its approximately 4.1 million residents. He was working as a spokesman for the office when the previous assessor resigned and suggested he apply to be appointed to the job. He has since been elected twice. By statute, the assessor job pays $76,000 a year. Early on, he took some heat from county leaders for driving to his public servant job in an Audi. So he switched to a white Jaguar. “I was told to get a new car, so I did, and now I’m getting flak for that, too. I guess I can’t win,” Petersen told the Arizona Republic in 2013. Petersen is not required to disclose how much he makes from his adoption practice. According to public records, Petersen and his wife, a real estate agent, own a house in Mesa, another in the mountain resort town of Pinetop east of Phoenix, a four-plex and condo in Mesa and the house in Utah where Marshallese birth mothers stay. In total, in cash and mortgages, he has paid about $1.6 million for these properties, public records show. Several of Petersen’s relatives have been career politicians, including his father, David, who was Arizona’s elected state treasurer. 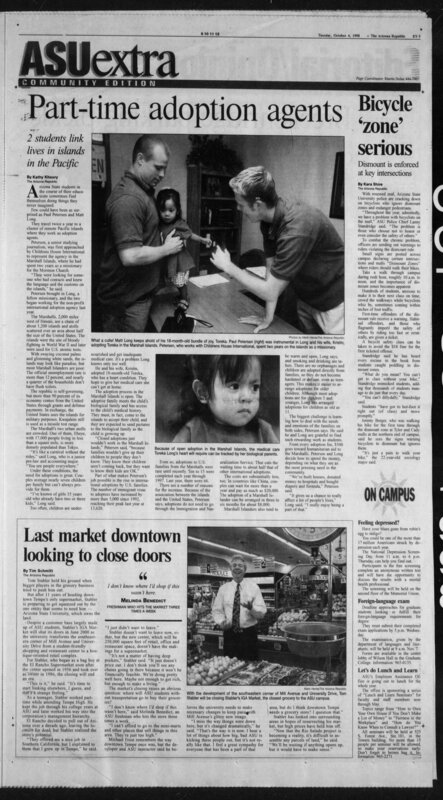 Paul Petersen’s adoption work was the focus of an Arizona Republic article in 1998. 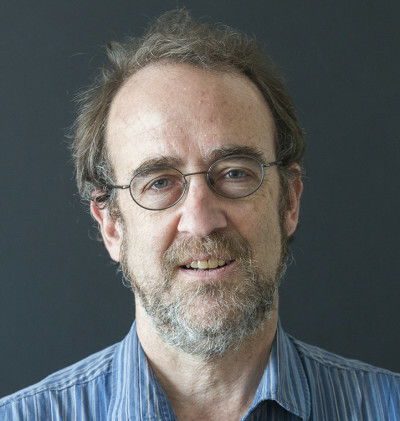 Petersen started facilitating adoptions as a college student. At left is Matt Long, who is now Petersen’s attorney. As a young Mormon, he did his mission work in the Marshall Islands and learned to speak the language. He also made lasting contacts in the islands. While he was still in college, an international adoption agency recruited him to travel to the islands to arrange adoptions because he was fluent in Marshallese, according to news accounts. “The only area of law that I’ve ever seen where everyone is happy with the end result is adoptions … that’s why primarily I’ve gravitated to it because the end result is good for everybody, and I like being part of that process,” he told the Phoenix Business Journal in 2013. Many of the parents who adopt Marshallese children through Petersen also are Mormon and refer friends and relatives to him. Attorney Paul Petersen, based in Mesa, Arizona, has an active adoption practice in Arizona, Arkansas and Utah. This is the homepage of his adoption website. Candis Schow in Idaho is one who learned about Petersen from messaging other Mormon couples she’d met years earlier, asking them how they were adopting. 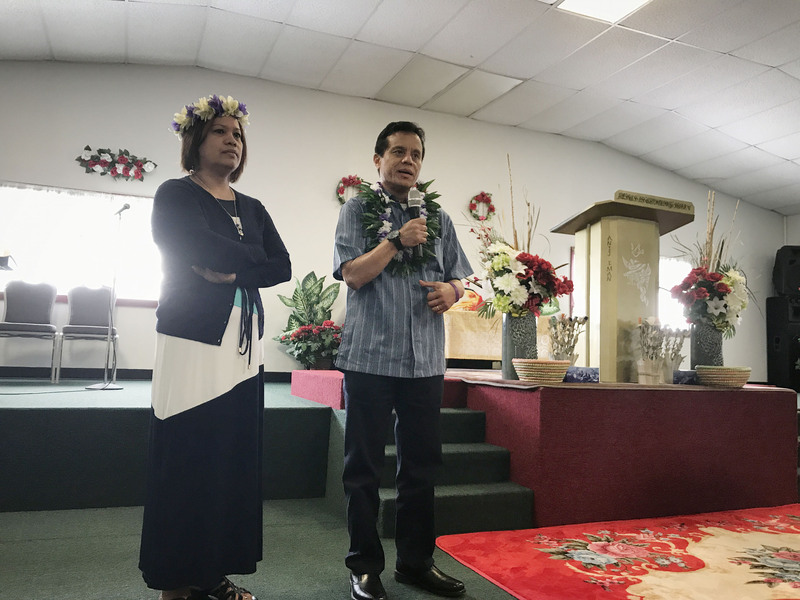 “Around here, he is the only name I’ve heard when it comes to Marshallese adoptions,” Schow told Civil Beat in a Facebook message. She ended up not hiring Petersen because of the estimated $35,000 cost. At one time, Petersen focused on adoptions in Arkansas, where he has a law license, but recently is operating more intensively in Utah, where he passed the bar exam this year. 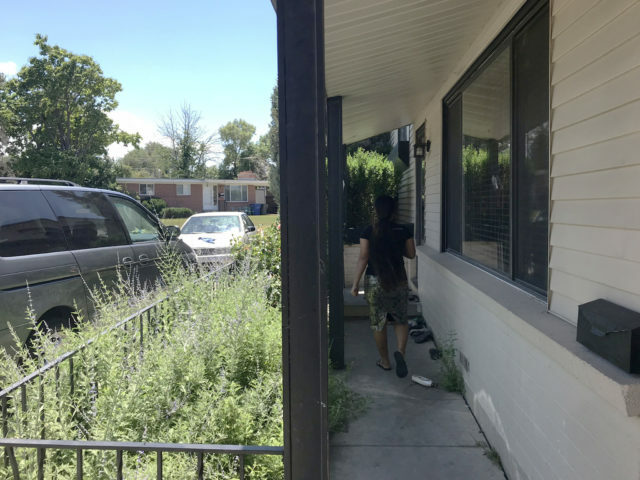 In June, a Civil Beat reporter visited the house in Utah Petersen bought in 2017 and uses for lodging Marshallese birth mothers. A toddler splashed in a water spigot, cooling off in Utah’s intense summer heat. Music drifted from a large outdoor speaker system on a covered porch, where a young man sat quietly, smoking. Several young women sat on folding chairs in loose, colorful dresses popular in the Marshall Islands, their long, black hair arranged in buns. Some scrolled on their phones, their hands resting on growing stomachs. In June, this house in West Valley City, Utah, was home to several pregnant Marshallese women. One of the women, Marje Anjain, said she had been to Utah a year before for an adoption through Petersen. She said she got in touch with Petersen through Jauwe Simon, a relative, who also happens to be a facilitator for the attorney and supervises the women at the house. 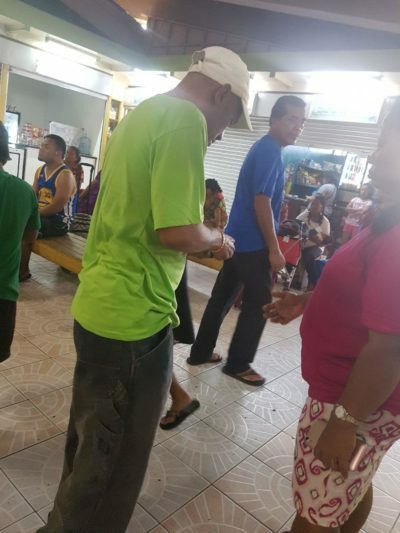 A man named Reggie, who identified himself as Simon’s boyfriend, said Petersen covers the women’s airfare and living expenses, and that Simon sometimes flies with them from Majuro to the U.S. Someone at the house apparently got in touch with Simon, who was in Hawaii at the time. Simon called her boyfriend and said on speakerphone that no one should talk to the Civil Beat reporter or the interpreter who accompanied her. Others headed inside and locked the door. They crowded at the kitchen window, peering out through the screen door. Marshall Islands law also prohibits so-called fixers — facilitators who work for the attorneys — from approaching pregnant women to entice them with money in return for giving up a child for adoption. But Marshallese women tell of being coaxed into adoptions by people associated with lawyers or their fixers. Kookie Gideon says when she got pregnant in high school, she was approached by a relative of Maki Takehisa, then a facilitator for lawyer Paul Petersen. Gideon said she didn’t want to give up the baby but was convinced by Takehisa’s relative, whose name she can’t remember, that the baby would return to her at the age of 18. “She came to my house and she kind of begged me because at first I didn’t want to,” Gideon said through a translator. She said that Takehisa gave her a plane ticket to the U.S., and that she and three other girls flew with Takehisa’s husband. In Springdale, Arkansas, Takehisa picked them up at the airport. Takehisa declined to talk to Civil Beat. Long, Petersen’s attorney, said he would not address “uncorroborated” accounts of birth mothers who worked with Petersen. "I can’t have my clients go to a trial where the perception is that this is a business for them." — Kevin Lammers, deputy public defender, Benton County, Arkansas. In one rare case of birth mother solicitation becoming public, an Arizona judge in 2007 noted that a go-between in a Petersen adoption was paid $2,000 “for her role in placing the child,” which he called a violation of state law. The judge didn’t mention it, but it also appeared to violate Marshall Islands law. The judge blocked the adoption, finding that “Petersen had violated RMI laws regulating adoptions” as well as the Compact of Free Association. The adoption would only go through, he said, if it was approved by the CAA or the adoption agency it designated. A three-judge appellate court reversed the decision and remanded it to the lower court judge. 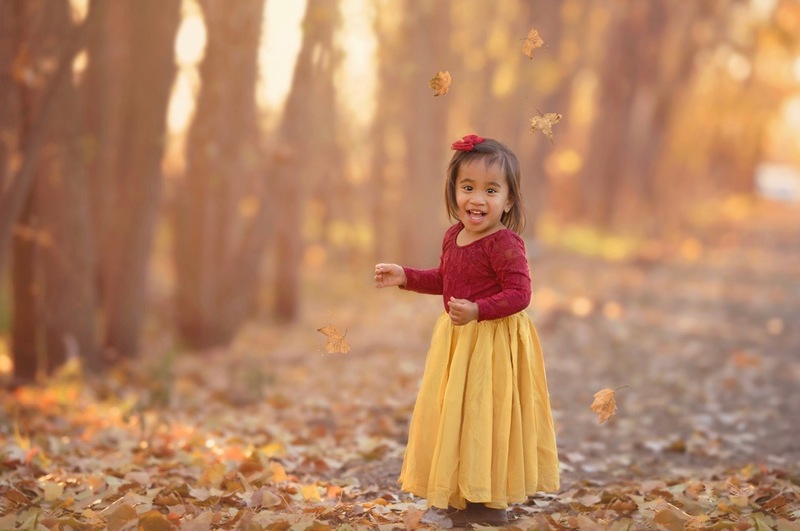 It found that the judge had improperly delegated his responsibility to determine if the adoption was in the best interests of the child to the CAA-approved adoption agency. The appeals court did not base its ruling on whether the adoption had violated the compact, but in a footnote, wrote there was more support for the lower court judge’s conclusion that it did breach the treaty than Petersen’s argument that it had not. The appeals court did not address the issue of the solicitation payment. Long, Petersen’s attorney, characterized the appeals court decision as an affirmation that Petersen complied with the law. 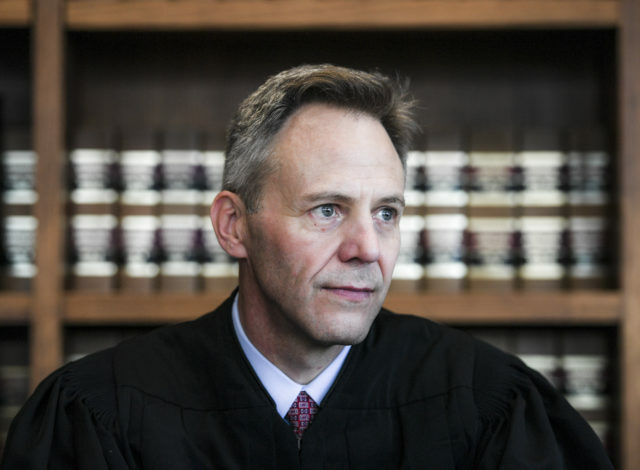 If the judges had been concerned about Petersen’s actions, Long said, they would have been obligated to refer them to the state bar association. “That didn’t happen,” he said. “How can we stop them from adopting illegally? … Sometimes when I think about it I cannot sleep, because of course it has frustrated me.” — Daisy Alik-Momotaro, senator in the Marshallese parliament. These lawyers typically hire handlers to house and monitor the women when they arrive in the U.S., and to translate adoption documents such as consent forms. Birth mothers have accused some handlers of controlling their movements and threatening them when they didn’t cooperate, or even, in at least one case, skimming money from their living expenses. One birth mother, Rebecca Kaious, told Civil Beat she was intimidated into staying in an isolated house in Arkansas by Lynwood Jennet, a fixer for attorney Petersen. Jennet’s husband told them not to leave the house and forbade visitors. “When we tried to leave, he told us to get back in,” Kaious said through a translator. With little to eat and feeling cut off, Kaious and two friends finally fled, only to be pursued by Jennet, who threatened to call the police and force them to reimburse their airfare — an astronomical sum for many Marshallese. Jennet could not be reached for comment. 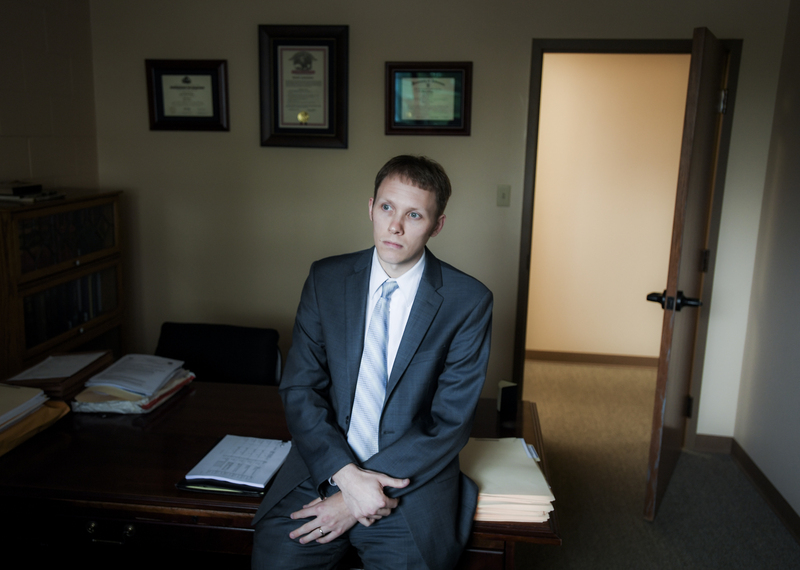 Listen Kevin Lammers, a deputy public defender in Benton County, Arkansas. In Arkansas, prosecutors have gone after several Marshallese birth mothers for fraud for abandoning one adoption lawyer and the family lined up to take the child and then working with a different lawyer and family instead. The women benefited by getting living expenses twice for the same baby. Yet the role of the lawyers in these cases has never led to charges or sanctions or received the same scrutiny in court as the actions of the mothers. Did they know that the birth mother had already committed to a different lawyer? Did they entice her to leave? 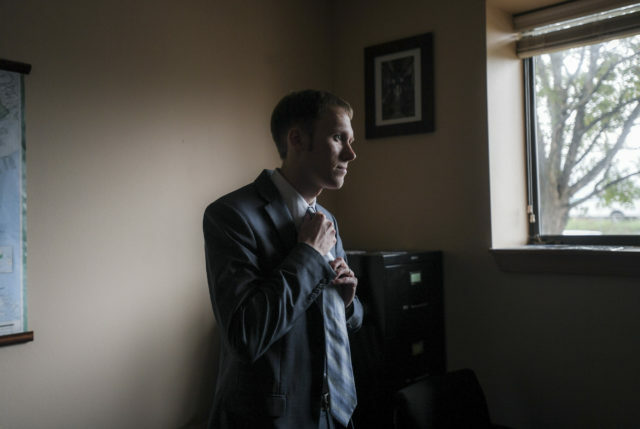 “There’s a lot of people to blame, and all the blame is falling on the birth mothers,” said Kevin Lammers, a deputy public defender in Benton County, Arkansas, who has represented some of the mothers. Several people told Civil Beat that the FBI and state authorities are looking into the activities of some of the adoption lawyers. But no charges have been filed. Long said that Petersen has not been approached by investigators. Vaughn Cordes handles adoptions in Arkansas, home of the biggest Marshallese community in the U.S. He has a crib in his law office, which he says is for clients, and a few Marshallese handicrafts on the walls and on the reception desk. In an interview last spring, Cordes said he got into the business after adopting a Marshallese child himself and realizing birth mothers needed an advocate who could do the adoptions according to their cultural norms, as much as possible under U.S. law. Cordes said he works with Marshallese women who have been living in Arkansas for years, making the adoptions indisputably legal, rather than arranging for women to fly from the islands, as he said other lawyers do. But Cordes said “I do not have him go there and recruit. That’s not our policy.” Aine may work with other lawyers, he added. Cordes said he does sometimes work with women just arrived from the Marshalls, but only when they’ve been flown in by other lawyers and “dumped off” in poor living conditions, prompting their relatives in Arkansas to ask him for help. 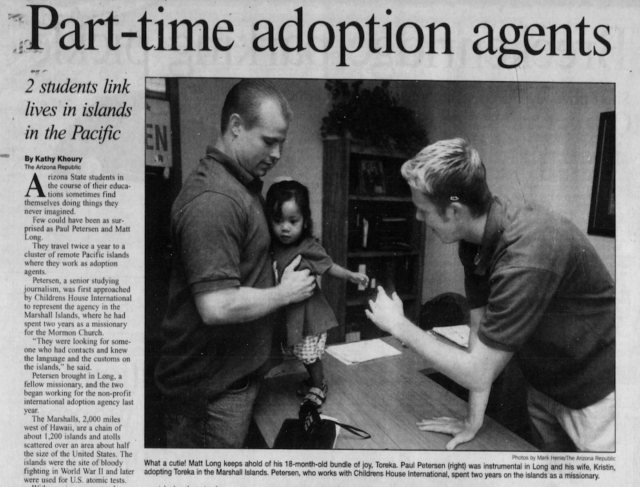 Adoption records are generally closed, but Civil Beat found one case in which Aine helped connect Cordes clients with a birth mother who was still in the Marshall Islands, showing how the roles of fixers and attorneys can be hard to untangle. The case involved Elizabeth and Joseph Meyer of Kentucky. Cordes had lined up an adoption for the couple in 2016, but it fell through when the birth mother was offered more money by a competing attorney, Elizabeth Meyer said in an interview. Then Aine, who knew about the failed adoption, connected the Meyers with a pregnant 17-year-old in Majuro, and they began communicating via Skype. The birth mother’s friends apparently covered her airfare. Cordes handled the adoption, Elizabeth Meyer said, but with one condition he believed made it legal. “He made it clear he wouldn’t be involved unless she got here on her own,” she said. "The nurse said, 'So you’re adopting this baby? Are you aware of the anomalies? 'I looked at her and said, 'Anomalies? What?'" Cordes also handled the adoption of Rebecca Kaious, the woman who fled, with the help of Aine, from the house associated with competing attorney Petersen. But he had to deal with a complication: Kaious had not been in Arkansas for the required four months to allow the baby to be adopted to an out-of-state family. So he temporarily adopted the child himself, according to Deanna Franklin, the Kentucky woman who later readopted the boy. Franklin said Cordes told her that his wife, pregnant herself at the time, could not tolerate a newborn in the house. And so, she said, Cordes moved into his law office with the infant for six weeks or so until the Franklins were able to take the child. Birth mother Kaious, back in the Marshall Islands, had been trying for months to reach Cordes, Franklin said. She only found out what happened to her son when Franklin, who wanted an open adoption and was concerned Kaious hadn’t been told, contacted her in the Marshall Islands. 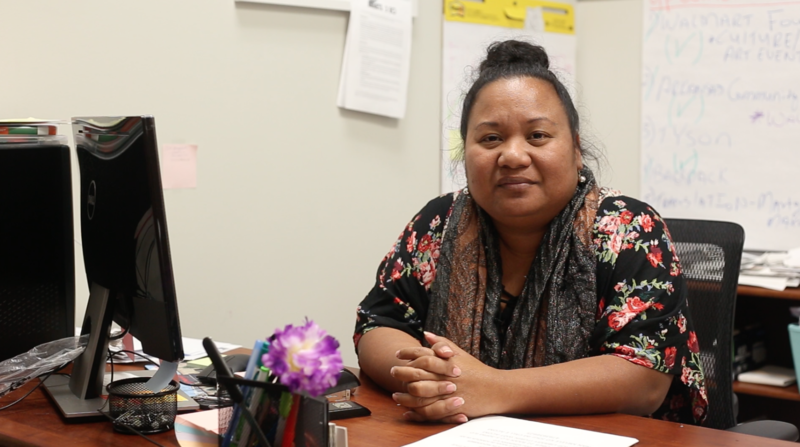 Earlier this year, Cordes spoke to Civil Beat in an hour-long interview for the Offshore podcast series entitled “The Blood Calls,” which also explored Marshallese adoptions. Hawaii attorney Laurie Loomis is another who specializes in Marshallese adoptions. She flies Marshallese women to Oahu, where they have been housed in Waikiki hotels and, until recently, an apartment in Aiea. She works with a fixer, Merlyna Chinglong, who takes the women to medical appointments and looks after their needs. Loomis did not answer questions from Civil Beat despite numerous efforts to reach her, including detailed messages with a rundown of questions left with her office staff. Chinglong could not be reached for comment. But Civil Beat obtained correspondence and legal contracts showing how one of Loomis’s adoptions unfolded. The documents reveal Loomis and another attorney, Gordon Benjamin, working together to justify it in the face of objections from officials in the Marshall Islands and Hawaii. The case involved a girl, Leyann, born to Hemiko Binejal in Majuro in June 2014. Eight days later, Binejal flew with Leyann to Hawaii with a ticket paid for by Loomis, who lined up an adoption for the baby. But there was a problem: attorney Benjamin, who has lived most of his adult life in the Marshalls and has many connections to government officials, had been talking to the CAA about whether this adoption could be considered legal. It was not going smoothly. “He has encountered some push back from the administrator of the Central Adoption Authority,” Loomis wrote to the adoptive couple. The couple backed out. Binejal, the birth mother, left Hawaii to live with relatives in Arkansas, leaving Leyann in Honolulu. She granted Loomis, who claimed to be representing her in the failed adoption, the legal authority to arrange a new placement. Leyann, meanwhile, was cared for by a woman in Kaneohe lined up by Loomis. 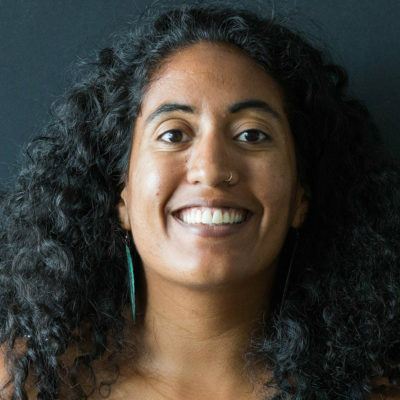 To help clear up any legal questions, Loomis prepared an affidavit for Binejal to sign declaring that she did not travel to the U.S. for the purposes of adoption, clearly prohibited by the treaty and Marshall Islands law. “My motive in moving here is to live in the United States with my family in order to achieve a better life,” according to Binejal’s affidavit. The two lawyers then offered the child to another couple, Missy and Mike Swenson of Washington state. Benjamin had first connected with the Swensons several months earlier. They had been trying to adopt through the Minnesota agency that, at the time, was the only one authorized by the Marshall Islands to do international adoptions. But the Swensons were told the wait would likely be years. Benjamin was the attorney for the Minnesota agency, with a long record of doing officially sanctioned Marshallese adoptions. But now he contacted the Swensons with a surprising offer. At the heart of the adoption reforms in the Marshall Islands was a cardinal principle, spelled out by the Hague Convention, an international agreement that sets standards for intercountry adoptions. Benjamin said he wanted to “pilot” a new method of doing an adoption of a Marshallese baby whose family had established itself in the U.S. before the pregnancy, Missy Swenson told Civil Beat. It would not be subject to the treaty or Marshallese law, but he would use the same safeguards. The Swensons were game. But a few months later, with no match made for the Swensons and the Binejal adoption was falling through, Benjamin wrote an email to Missy Swenson to propose something altogether different. “People just become very myopic and just think that they’ve just got to get that one child, one baby. But if we keep acting like that then we’re going to destroy the whole adoption system. And there are kids who need it.” — Jini Roby, attorney and professor of social work at Brigham Young University. Benjamin was floating the idea that an adoption would not have to be done through official channels if the family was coming to the U.S. for some other reason as well, such as a job or school or just starting a new life. 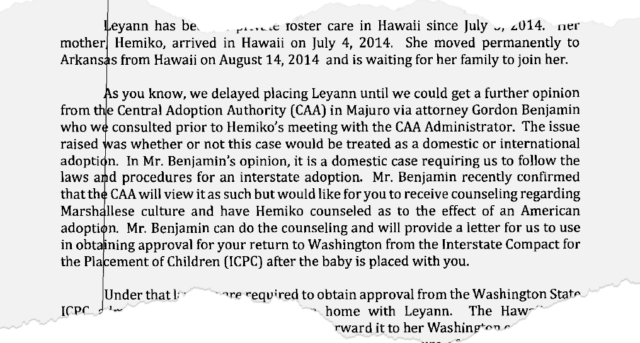 After Benjamin and Loomis offered Leyann to the Swensons, Loomis wrote them to say that Benjamin had confirmed that the CAA had agreed that the adoption could be handled as domestic — that is, the Marshall Islands government would not have to be involved. The CAA’s Lokeijak told Civil Beat the agency would never have approved a child born in the Marshalls being flown to the U.S. for adoption. Loomis wrote the Swensons that the adoption could be handled through a compact between U.S. states governing domestic adoptions in which the birth parents and adoptive parents live in different states. Meanwhile, Loomis had the Swensons sign a retainer for “legal representation.” Loomis, in other words, was no longer representing the birth mother, but the adoptive parents. Missy Swenson said she backed out of the adoption because of ethical red flags and ballooning costs. Among other things, Swenson said Denise Mazepa, the Kaneohe woman Loomis commissioned to take care of the baby said she’d been feeding her oatmeal because formula was too expensive. As a result, the 9-week-old girl was wearing clothes more suitable for a 5-month-old, Swenson said. Mazepa told Civil Beat she had no recollection of the child. Loomis, meanwhile, increased her estimate for the adoption by several thousand dollars to $53,442. The estimate included $20,000 for Loomis’ legal fee, $6,500 for fixer Chinglong and $5,100 for Mazepa, who would be paid for looking after the child for 68 days at $75 a day, and get another $400 for diapers, formula and clothing. Mazepa told Civil Beat she was not paid by Loomis. Swenson worries about what happened to the child. She wonders if someone else adopted her. Benjamin, in an interview with Civil Beat, said that he considered the Binejal adoption “iffy” because the child was born in the Marshall Islands, which is why he discussed it with the Central Adoption Authority. He said he doesn’t remember the details of the agency’s response. Perhaps more than anyone else, Gordon Benjamin has been in the middle of the debate over Marshallese adoptions. He said he helped write the treaty governing adoptions and worked as a lawyer for official Marshallese-approved agencies. He even traveled to Arkansas as part of a Marshallese government delegation investigating the abuses, before starting to do black market adoptions himself. Now 62, he said he first moved to the Marshalls when he was 31. He worked as the city manager of one of the nation’s atolls, and served as the head of a division of trade and industry. In 2017, he registered as a foreign agent to provide lobbying and legal services in the U.S. for a local government council including three of the atolls, which agreed to pay him $250,000 a year. Benjamin, who holds Marshall Islands and Maryland law licenses, said he started doing adoptions for the agencies designated by the CAA in 2007. At one point, the agency he worked for was doing as many as 24 adoptions a year, he said, but over time, it dropped to only three or four. “We found out it’s all because of recruiters coming to Majuro” and enticing women into private adoptions, he said. In 2013, along with the CAA’s Claudia Lokeijak and the nation’s secretary of internal affairs, he said he traveled to Arkansas to investigate the problem. They organized a meeting with the lawyers doing the clandestine adoptions, he said. Listen Eldon Alik, the consul general in Springdale, Arkansas, thinks that state laws may need to be amended to help protect Marshallese birth families. Benjamin said he was appalled by what was happening to Marshallese women in private adoptions. Around the time of the Binejal adoption in 2014, he started floating the idea that he could do private adoptions in the U.S. the “correct way,” making sure that the women knew what they were doing and were prepared to cope with life in America. Benjamin went ahead anyway. He had an argument for why it was legal — and ethical. He decided he would only work with women who were coming to the U.S. with relatives, who could help them get by after the birth. In most cases, he expected them to pay their own way from Majuro to Hilo, where he owns property, he said. 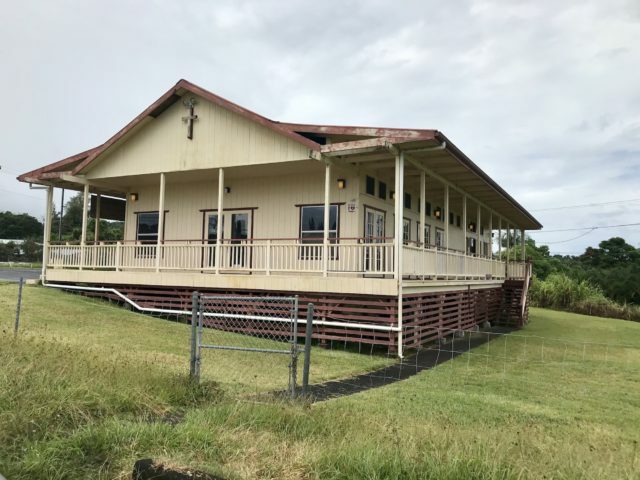 The Hawaii Island church where Maize Luke, who helps orient new arrivals from the Marshall Islands, serves as a pastor. “I began helping them because these were families I had known from the Marshalls, and they personally trusted me and wanted me to help them,” he said. Benjamin lined up an assistant, Pastor Maize Luke in Hilo, to orient the new arrivals and cover their living expenses. But Luke’s role was even bigger than that. He would “train” the newcomers on how to get by in the U.S. — everything from getting a Social Security card to buying a car. In an interview with Civil Beat, Luke said Benjamin lets him know when to pick up the pregnant women and their relatives at the Hilo airport. Luke gets them settled and covers their living expenses, reimbursed by Benjamin. Sometimes, after the women give birth, the pastor helps them find jobs. Luke told Civil Beat that when Benjamin first approached him in 2016, he was reluctant because of the sketchy reputation of Marshallese adoptions. But he ultimately decided Benjamin was doing it the right way. "I'd rather take a different approach." — Melissa Laelan, court translater and leader of a community nonprofit in Arkansas. But Luke says he didn’t know that it was illegal for Marshallese women to come to the U.S. for the purpose of giving up their babies for adoption. Benjamin said it was only after the pregnant woman had her baby and decided to give it up in an adoption that he would get involved. 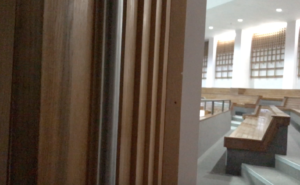 He said he doesn’t ask the families to reimburse living expenses if they decide against adoption — which he said has happened in two or three of the 16 or so private adoptions he said he has done since 2015. He says he makes no money from it and that the families he’s helped are all doing well. Though he acknowledges open adoptions cannot be legally enforced in most places, he says he works with all the parties to make sure they maintain contact. The behavior of the lawyers is all the more surprising because in 2011, an adoption agent in Utah was convicted of engaging in many of the same practices. Teresa Snow pleaded guilty in federal court to one count of aiding and abetting the improper entry of an alien. Snow ran an agency, Legacy International Adoptions, that focused on the adoption of Marshallese children. The plea agreement cited the case of one Marshallese woman who traveled to the U.S. in 2006 to give up a child for adoption. Snow paid the woman’s airfare, provided housing and took her to medical appointments – the same practices some of the private lawyers identified by Civil Beat engage in today. Snow got five years’ probation and was required to try to open up communication between adoptive parents with Marshallese children and their birth parents. Brett Parkinson, the assistant U.S. attorney who prosecuted Snow, said one problem with the law is proving intent. 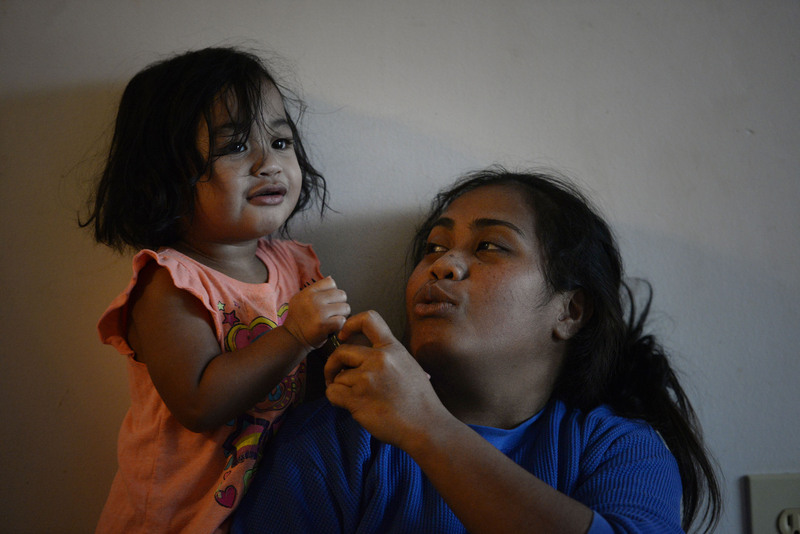 Marshallese women traveling to the U.S. could say they were coming for vacation or a reunion, and found out when they were here that they were pregnant and decided not to go home. Money — for the attorneys, fixers, birth mothers and others — provides the fuel that keeps the black market going strong, more than two decades after the abuses were first identified. While the amount paid to the lawyers is generally not made public, documents shared with Civil Beat indicate the fees for a single adoption can add up to as much as $20,000. The attorneys may have other methods, too, for increasing their payoffs, such as Paul Petersen charging adoptive families rent for the birth mothers staying at his Utah house. Judge Doug Martin spoke with Civil Beat in his office at the Washington County Courthouse in Fayetteville, Arkansas. “It’s big money business,” says Doug Martin, the Washington County, Arkansas, judge who frequently presides over Marshallese adoptions. Martin points out that continuing to be able to finalize adoptions in Arkansas was enough of an incentive for Petersen to take the bar exam there — two decades after he took the test in Arizona. And he sees no sign that attorneys will get out of the Marshallese adoption business, despite apparent outrage over their practices.